WE HELP THE CUSTOMER FIND YOU! STEP 1. Organizations looking for a specific training contact us about their training needs. STEP 2. We contact the client to discuss their needs and get permission for you to contact them. Subsequently, we inform you about the opportunity and you contact the prospect. STEP 3. You negotiate with the client to obtain a training agreement. (We get a reasonable referral fee only if you get paid). STEP 4. We will follow up with the client to make sure their needs where met satisfactorily. WHAT IF I AM UNABLE TO SECURE AN AGREEMENT? "NO PROBLEM! If you choose to participate in the partnership and are unable to secure any agreements from the leads we generated, there is NO COST or risk to your organization. If you do secure a training agreement with the customer, we get a reasonable fee for the customer referral. REASON 1. You get solid leads delivered in your inbox. REASON 2. You increase your brand recognition and reputation with course reviews. REASON 3. You get better rankings in Google and more traffic to your website. REASON 4. 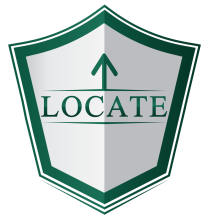 Your courses are featured on the LOCATEtraining.com "By Request/Contract" listings which links back to our main page. Your link will feature your logo and training course description in addition to a request training form. Results and success can be measured a lot of ways, but we prefer to be measured by how much business we create for our training partners. If you provide high quality training we would love your training listed on LOCATEtraining.com. Fill out the "Become A Partner" form to get started!